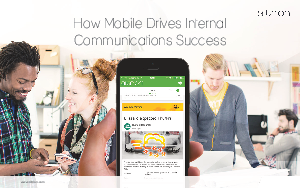 Mobile technology is the most direct means to reaching all your employees. Regardless of the types of employees you have – office based, field personnel, workers – research shows that, while they may not have a PC, more than 85% of them have a smartphone. Now you can tap into those devices to reach each individual employee and help them be informed, productive, and to enjoy their work.